Dr. Stanley Coren is Professor Emeritus in the Department of Psychology at the University of British Columbia. 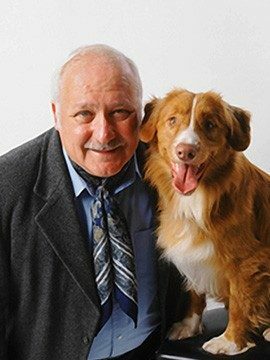 He is best known to the public for his popular books on dogs and on general psychological issues, however within the scientific world he is also a highly respected scientist having done research in a wide range of psychological areas including sensory processes (vision and hearing), neuropsychology (handedness, sleep, birth stress effects and behavior genetics) and cognition (information processing and intelligence). He has published over 400 scientific reports in professional journals as well as 19 books for students and professionals. He has received many honors and awards for his scientific work, has been named a Fellow of the Royal Society of Canada and was named as one of the 2000 outstanding scientists of the Twentieth Century by the International Biographical Society. He was also awarded the honorary degree of DSc by Guelph University for his scientific and other contributions. Research interests include human perception and perceptual development (vision and audition); laterality (particularly handedness); behavioral medicine; behavior genetics; general cognitive processes and sleep. Canine behavior, and human/animal bonding.